"I've had an amazing experience so far earning my Private Pilot's License at Premier. The instructors are knowledgeable and encouraging, and also very transparent about the costs and their expectations. Every time I step into the airplane with my instructor I feel like I'm in good hands and that they have my best interests in mind. I'm planning on going all the way to my Commercial and CFI and I can't wait for what's next." 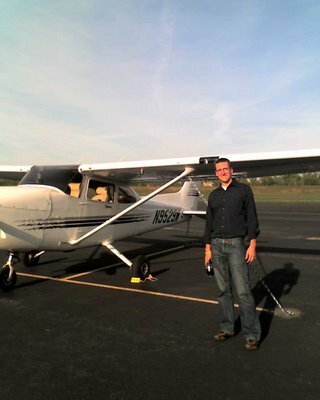 "I just got my private pilot license at Premier Flight Center and i have to say that it is an excellent flight school. They are very strict with the aircrafts maintenance, airplane booking is really easy, staff is very friendly and helpful, the instructors are really nice and kind. My instructor Ryan Snyder is a great person and great teacher, always tracking my progress and helping me to improve. The owners are such a great people, very honest and kind. I will continue my career here and I really recommend this flight school to everyone who wants a good education." "Top of the Line Instructors. The instructors love what they do, they go above and beyond FAA standard. The instructors care about their student progress. I love it at Premier, i love being around the Staff. it makes me feel like home. I got my private at premier and plan in getting all up to CFI at premier." "I could not have made it where I am today in my professional career without the guidance, knowledge, and work ethic that PFC instilled in me as a professional." "... My son really enjoyed his lesson today! I could see the glow in his eyes, and he is looking forward to next week. Thank you all for your professional and friendly accommodations." "... Not only am I learning to fly a new airplane, but I am getting a new perspective from a very patient, but very experienced CFI!" "I just recently completed my Private Pilot License at Premier Flight Center. I have nothing but great things to say about this school, it's instructors, staff and aircraft. This school is very well managed and organized and it shows in the quality of the instruction I received throughout my training. There is a good variety of aircraft and the school spares no expense to ensure every aircraft is meticulously maintained. I would not hesitate to recommend this flight school to anyone looking to earn their license to fly!" "Becky's surprise B-day present to me was a flying lesson. Ridiculously awesome! Here is a picture of me after my first flight. It was a ton of fun and I hope to get some more flying in soon. Thanks to Mike and all those at Premier Flight Center in Hartford." If you've had a great experience at Premier and you'd like to submit a testimonial just fill out the form below. All submissions will be reviewed prior to posting.